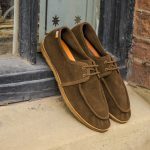 Frank Wright ShoesUncategorizedThe wait is over, SS18 is here! The wait is over, SS18 is here! So we are now officially in new season mode, even though the weather outside is having other thoughts. 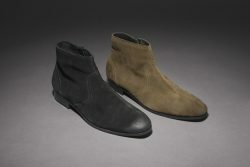 Don’t worry though; we still have our failsafe collection of Frank Wright boots to help you through this cold snap. 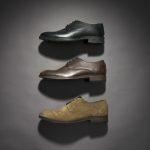 Chelsea, Chukka, Desert whatever your favourite style we have it in an array of colours and fabrics for any occasion. 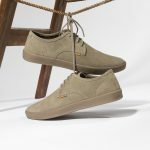 For a weekend night out with your mates look no further than the suede Chukkas, they will look smart enough to get you into the bar without looking like you have made too much of an effort – they are casual drinks after all (or so you tell the other half). 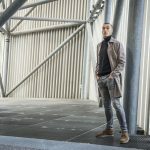 For the 9-5 we have our Chelsea boot collection, Chelseas look as good with trousers for work as they do with jeans on casual Fridays. 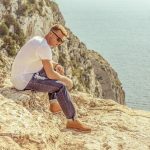 Our desert boots are a classic that can be worn for any occasion, need we say more?